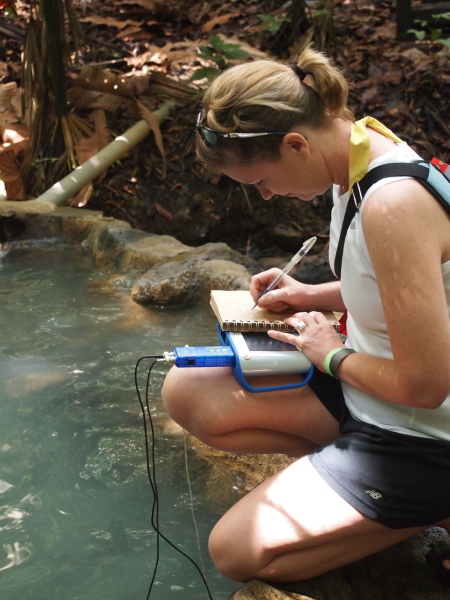 Global scientific learning for educators provides unparalleled development opportunities that translate from the field to the classroom. It also allows teachers to experience the subjects they teach first-hand; from bio diverse rainforest species, to glacial geological formations, to immersion in foreign classrooms, professional development through travel provides growth opportunities for educators in a way that no seminar or workshop can quite achieve. Dr. Tina Cartwright is an associate professor of education at Marshall University and former West Virginia State Climatologist. In her research, Dr. Cartwright focuses her research on enhancing elementary science education and better understanding students’ thinking regarding weather, climate, and climate change. For these pursuits, Cartwright has secured several NSF awards – a $148,000 grant in 2006, $799,990 grant in 2007, and $1.2 million grant in 2011. She also works closely with the GLOBE program, a worldwide science and education initiative, to help educators train and receive GLOBE certification. Q: In the field of Science Education, why should teachers engage in global scientific learning? Why should educators expose themselves to other parts of the world, scientific practice or educational systems? Keeley: Our scientific world view, both of science education and the natural sciences is so enriched when we can step outside limitations of our own context and broaden our perspective. Having led trips on four continents, each time the participants and I come away with a greater understanding and appreciation of the culture, education system, scientific research and its application and the natural wonders of the countries we visit. Science education knows no artificial boundaries between countries and we come away realizing we have a lot more in common than differences in ensuring all students develop an appreciation for and an interest in science and related STEM fields. Tugel: When I planned my first global science education travel experience, I thought about what I could do for them -- to support the education needs of the communities I would be visiting. Little did I know how transformative the experience would be for me! As I observed a teacher facilitating the learning of a crowded classroom of youth in a financially impoverished community, I witnessed an atmosphere rich with engagement, excitement, and curiosity. Language is no barrier when you’re seeing best practices in teaching and learning. Global experiences provide an opportunity to broaden an educator’s horizons to look beyond the “bells and whistles” of teaching and witness diverse systems of learning. Q: What have been some of the greatest outcomes you have witnessed in your leadership of global science travel for educators? Keeley: I notice three major outcomes when I lead trips: 1) learning about the science; 2) learning about education; 3) fostering networking between educators in our group, as well as with educators and STEM enthusiasts in the countries we visit. It's the convergence of these three outcomes that makes global science education so powerful. Dr. Cartwright: One of the greatest outcomes that I witnessed in one of my past global travel participants was an appreciation for the educational advantages in the U.S., even in rural communities. He stated that prior to the trip before seeing the challenges with educational access in Costa Rica he was pessimistic about the future opportunities for his students. After, he realized that really anyone anywhere in the United States can be thankful for our educational system after seeing the difficulties students must overcome to obtain even the most basic education in rural Costa Rican communities. Q: How have these experiences personally informed your own career in teaching? Keeley: It certainly opens my eyes to the diverse population of teachers I work with here in the U.S. Knowing that many of these teachers as well as the students they teach are immigrants who may have started their education journey in another country, widens my perspective of teaching and learning. Additionally, with the emphasis on phenomena in the Next Generation Science Standards (NGSS), what better sources to spark student and teacher engagement than finding examples from around the world that have great explanatory power! Q: What would you say are the merits of considering expeditionary learning (field immersion) in the sciences? In STEM education? Keeley: Everything today seems to have a global connection. We can talk about science and science education in other countries and cultures, examine data on teaching and learning from international studies, and experience the science vicariously through video or text. But we know learning is much more effective when students have first-hand, real experiences. To really understand our global connection to the science and teaching and learning, we need to experience it ourselves. This is true of STEM as well. You can learn about great engineering feats throughout the world such as the construction of the Panama Canal, but what better way to learn about it than being there, seeing it and learning about the engineering from the Canal designers and engineers. Tugel: Field immersion brings together a cadre of colleagues who are interested in education in different parts of the world. By traveling as a group of STEM educators, there’s an opportunity to experience, reflect, and discuss the commonalities and differences in STEM teaching and learning in various cultures. Dr. Cartwright: Too often professional development, although well intentioned, has few long term impacts on modifying our instruction or teaching perspectives. International field immersion removes us from our comfort zone and exposes us to places and possibilities we may not have previously considered. In my own area of weather/climate research, I believe that people need to see, touch, feel and experience the sensitive ecosystems, such as those in Costa Rica that may suffer from climate change so that we can inspire ourselves and others to make difficult choices that our planet requires. Q: You have an upcoming Professional Development Trip to Panama – how and why did you select this country? Keeley: Well, last year we chose a polar region, so this year we decided on an opposite—a tropical region. Panama is a perfect setting to explore STEM contexts. 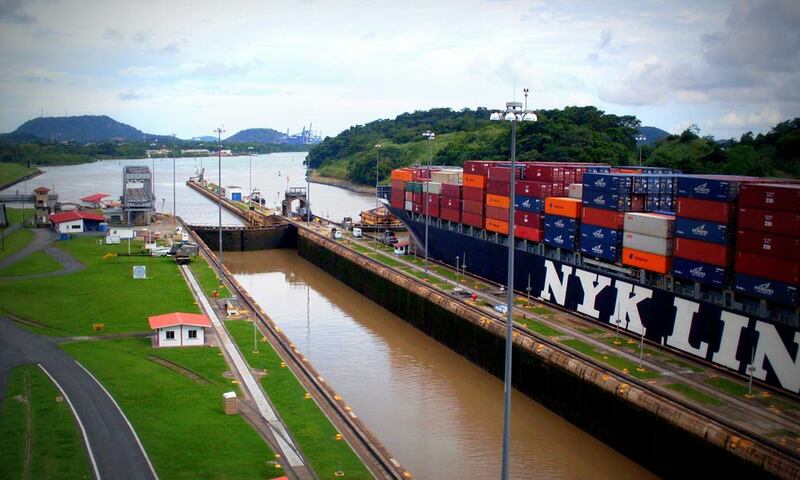 Not only is it the site of one of the world's great engineering marvels (the Panama Canal), but the biodiversity and research into tropical ecosystems provides a rich context into biology and chemistry. Panama also provides noteworthy examples of applications of science and technology, such as the pharmaceuticals that come from the rain forest, agricultural applications of coffee growing and more. The country is also a rich site for geology. And the firsthand opportunity to interact with Smithsonian researchers is sure to be transformative. Having an opportunity to interact with indigenous tribes who have developed tools to live harmoniously in their environment as they have done for centuries expands our concept of the “T” in STEM. And of course we will visit a school and learn more about teaching and learning in Panama. All of these experiences combined make for an extraordinary STEM educator's professional development experience that are even more profound when you get to experience it and make sense of it together, amongst colleagues that share STEM interests! For more info on the upcoming professional development trip to Panama go to the trip's webpage. Q: You have an upcoming Professional Development Trip to Costa Rica for the GLOBE Program – why did you select this country and what outcomes do you anticipate for the participants? Dr. Cartwright: After visiting Costa Rica with my family several years ago, my 2nd-grade daughter came home from school and exclaimed, “Mom, we are learning about the rainforest in science, and I know all the answers!” Meaningful and impactful learning happens through experiences. I want to provide these experiences to educators who can then share these with their future students. My chosen itinerary contains my “best of” experiences from past trips to Costa Rica! This global learning expedition provides a unique opportunity to experience an incredibly diverse ecosystem while also learning about THE global scientific issue of climate change. Situated within a threatened ecosystem we can hear the first-hand experiences and perspectives from local scientists and community members. Participants will gain valuable experiences and certification in the GLOBE program, an international environmental science program, which will include data collection, analysis and exchange with scientists of NASA, as well as international classroom collaboration opportunities including CITIZEN SCIENCE opportunities and formal professional development for teachers. Climate change is THE environmental challenge which will require the power of international exchange and collaboration.